Frog Grog is a Thunderkick online video in which players win even with non-winning symbols. Matched Winning Symbols disappear; new symbols are then introduced and drop into gaps created by the disappearing symbols. 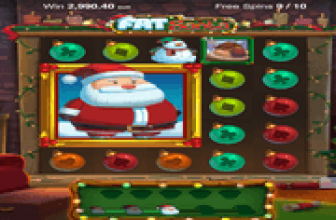 Unlike other slot games in which existing non-winning symbols also drop, they remain locked in their in position as there is a chance that they may bring additional wins via a random Mystery Game Feature. The Wild Symbol of this game can also remove symbols and therefore create new reel positions for a new batch of icons. The effect of such an occurrence is akin to triggering a respin every time a Wild appears. Moreover, the Wild that removed the symbols remain in place in order to heighten the possibilities of creating new pay line wins. Thunderkick's Frog Grog video slot does not have a Bonus Game Feature. Yet the Mystery Game and the Wild-triggered respins more than make up for the lack. The best part about the win events is that if they occur in succession, win-multipliers increase from x1, to x2, x3, x5, and up to x7. Win events could go from Big Win, to Super Win, Mega Win, or Ultra Win. The reels depict a wooden shelf of what looks like a makeshift experimental laboratory. On display is an assortment of jars and flasks containing objects such as a Flower, a Moth, a Heart, some Eggs, and Potions in different colors. A lone Frog, which apparently has undergone some kind of experiment, appears every now and then. It changes color, whilst creating effects that might turn out to be beneficial for Frog Grog slot players. The game's Frog Wild Symbol initially appears as an Orange Frog and always triggers a removal action via the Frog Burp Feature. The Frog Burp Feature shows the Orange Frog burping and emitting fire. As a result, all symbols positioned in the same shelving as the Frog Wild disappears. The Orange Frog Wild then transforms into a Blue Frog Wild. It remains locked in place until it succeeds in completing winning combination/s in an ensuing symbol-dropping event. Any winnings gained through the help of the Orange Frog Wild remains on hold; awaiting completion of the Frog Burp Feature. Once the Blue Frog Wild becomes part of a payline win, all payouts created via the Frog Burp Feature will then be awarded. The Mystery Game is a feature occurring at random after a non-winning turn. This Frog Grog element initiates the removal of some of the non-winning symbols. That way, some reel positions will open up and make way for new ones. However, top-paying icons such as The Moth and the Flower and any Frog Wild in place, will be excluded from the Mystery Game removal action. This is to increase players' chances of hitting greater prizes, in case the fresh set of symbols complete payline wins for those icons. Even greater still is that players also benefit from the removal actions. The game evaluates every group of 3, 4, or 5 identical symbols eliminated from the screen as winning scatter combinations; awarding prizes based on payouts corresponding to the scattered identical symbols. Multipliers of x1, x2, x3, x5 or up to x7 apply to every win occurring after every symbol dropping action. If the symbol dropping actions continuously result to a succession of winning combinations, the initial x1 win-multiplier progresses to x2 onward up to the x7 maximum. Frog Grog - Stupendously Rewarding Mystery Game Feature as it Increases Odds of Winning Big! 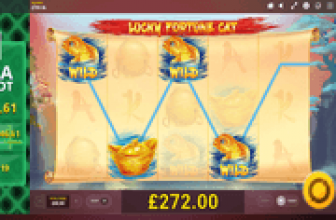 Frog Grog online slot is another Thunderkick real-money betting innovation. 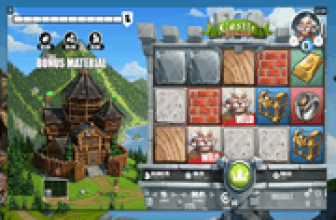 It features a randomly triggered Mystery Game that enables slot players to reap rewards even on non-winning icons, as well as increase their chances of hitting wins with top-paying symbols. On top of that, the Frog Wild initiates the removal of non-winning symbols in order to free-up reel positions for a fresh batch of dropping symbols. The Frog Wild also remains locked in place until it completes a winning match. I'm a professional writer from Montreal in Canada. I work on several gaming sites as reviewer of new games. More of the best ONLINE CASINOS on the net.